On the 8th July 2018 Colleen Blair swam into history. You can watch it sixteen minutes into this episode of The Adventure Show on the BBC iPlayer. Others had tried and failed to swim The Minch, from the Isle of Lewis to the Scottish mainland. The 'Little Minch' between Harris and Skye had been swam, but the 'Big Minch' had proven too far (further than the English Channel), too cold, and too full of stinging lions mane jellyfish. Colleen swam it in 18 hours, 46 minutes 28 seconds. 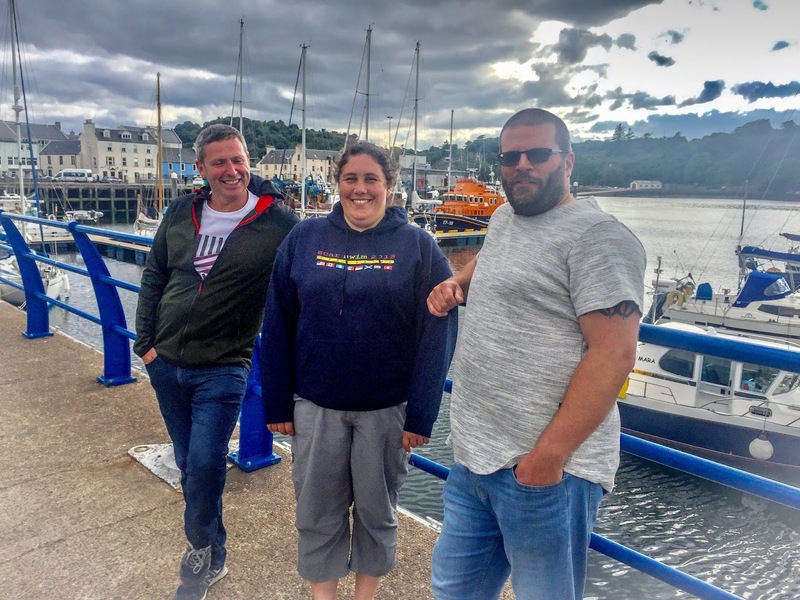 She followed British Long Distance Swimming Association rules, wearing no wetsuit and watched by two official observers (her Dad and Ian) and support boat Harvest Moon piloted by Jody. He normally fishes for prawns off Gairloch. Renowned kayaker Brian Wilson spent all that time in an inflatable double kayak paddling alongside Colleen, handing her energy drinks and food as needed. There was also second team with two wetsuit swimmers, Norman and Colin. They had their own kayaker Will plus support boat, also attempting to cross the Minch. They were organised together but for BLDSA rules the two swims had to be separate. 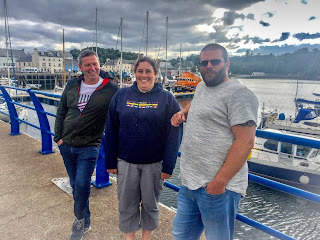 I was with them for four days, crossing to Lewis on the ferry, waiting a day for the weather to improve, then bouncing around on Colleen's support boat for about 25 hours. It was hard for me, goodness knows what it was like for Colleen! We could have made a twenty minute feature from the footage, but there would never be space in the programme for that. But it does make a compelling feature - if you want to see what determination looks like, watch this. It didn't work out so well for the second team of wetsuit swimmers but as I was several miles away from them alongside Colleen I can't be certain what happened. Different people have different views on that swim. But it seems most people are happy with what was screened.